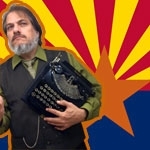 Ted Munk 1987 Canon Typestar 7 Serial # G72023151 1987 Canon Typestar 7 typewriter, Serial # G72023151 Ted Munk's 1987 Canon Typestar 7 typewriter. 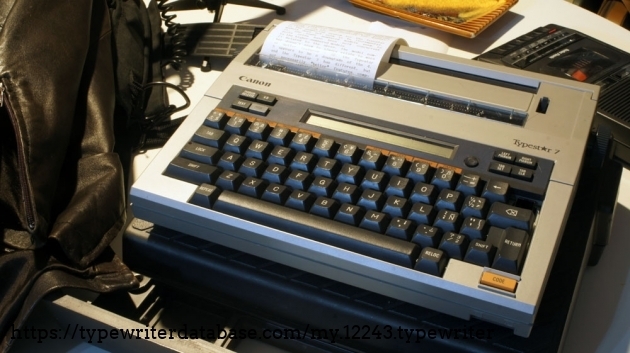 2019-04-12 2019-04-12 From the Virtual Typewriter Collection of Ted Munk: 1987 Canon Typestar 7 Serial # G72023151 Borrowed from Brian Goode. Like the Typestar 4 except the secondary font is now on an accessory card rather than built-in, has larger screen and a proprietary data port requiring a breakout box accessory. Borrowed from Brian Goode. Like the Typestar 4 except the secondary font is now on an accessory card rather than built-in, has larger screen and a proprietary data port requiring a breakout box accessory. 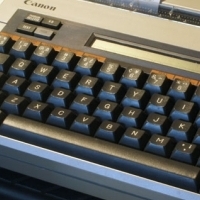 RESEARCH NOTE: When researching the Canon Typestar 7 on a computer with lots of screen real estate, you may find that launching the Canon Serial Number page and the Canon Typestar 7 By Model/Year/Serial page in new browser windows can give you interesting perspectives on changes throughout the model series.